NZNO organiser Georgia Choveaux met New Zealand’s oldest woman and retired Karitane Nurse Peg Griffin at Kapiti Rest Home on the day residents voted in the 2014 General Election. 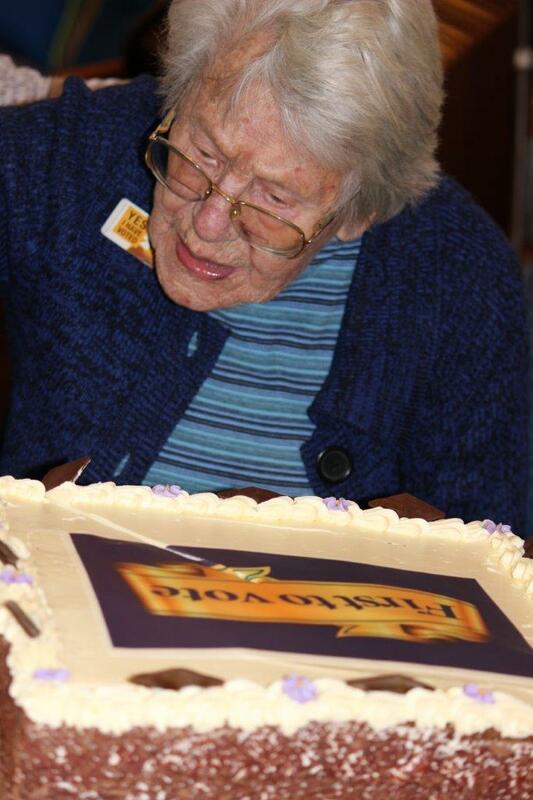 “Last week I was lucky enough to celebrate voting with New Zealand’s oldest person, 110 year old Peg Griffin. I arrived at the rest home with chocolate cake and balloons and left with a much deeper appreciation of the value of my vote. Peg and her fellow residents have shaped our communities and our country in part because of their vote at each election. The New Zealand we live in today was decided by how people voted yesterday, and Peg knows it. That is why, when the polling booth came to their rest home, they are queued up – to again decide what they would like to see happen for our communities and our country. They value their vote. 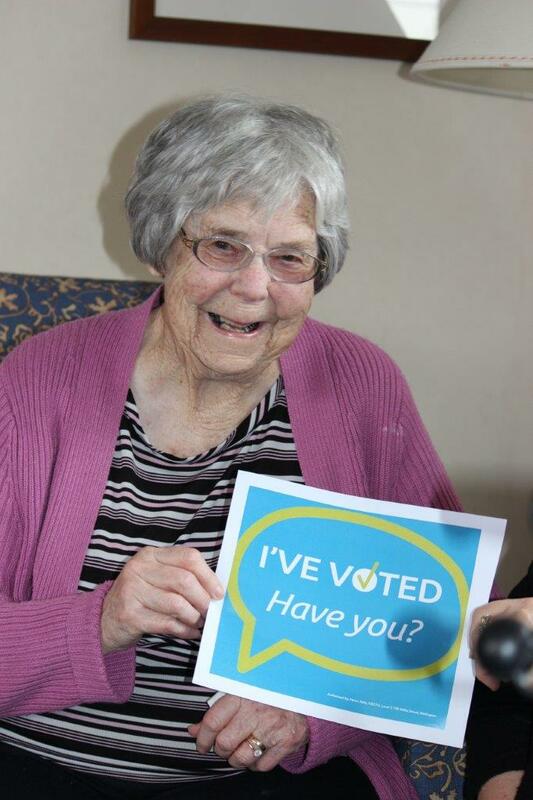 93 year old Kathleen, (another retired nurse) explained to me why she always voted. She grew up in tough times in mining communities on the West Coast. So she always casts her vote to help people. She has always voted for increased support for those in need, she has witnessed too much hardship over the decades. 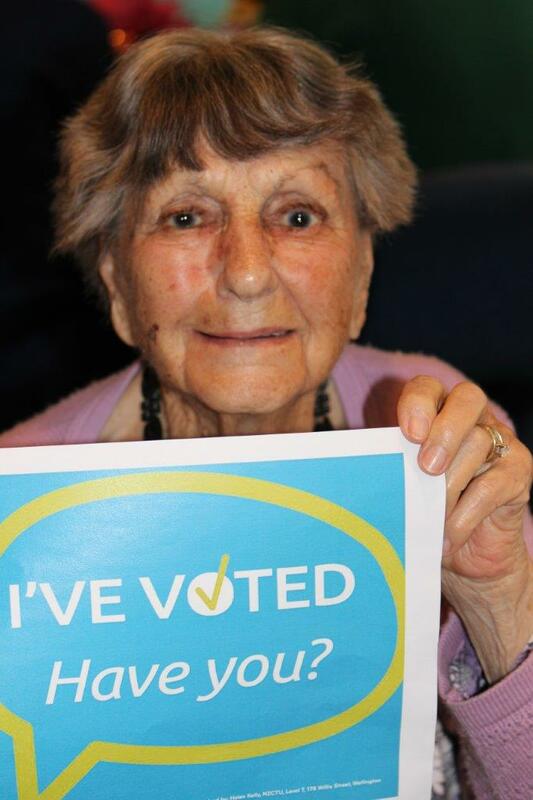 98 year old Aida explains that she has always voted and knows it’s a privilege. She doesn’t miss voting because she doesn’t want to miss having her say on how things should be. And don’t get her started on those that grizzle but don’t vote! Another gentleman told me about when his paper-run was all his family had to survive on. It was during the Waterfront Lockout, and legislation had been passed to make it illegal for anyone to help the locked out workers during the bitter dispute. So every election he marches to the polling booth and hell would have to freeze over before he didn’t vote. 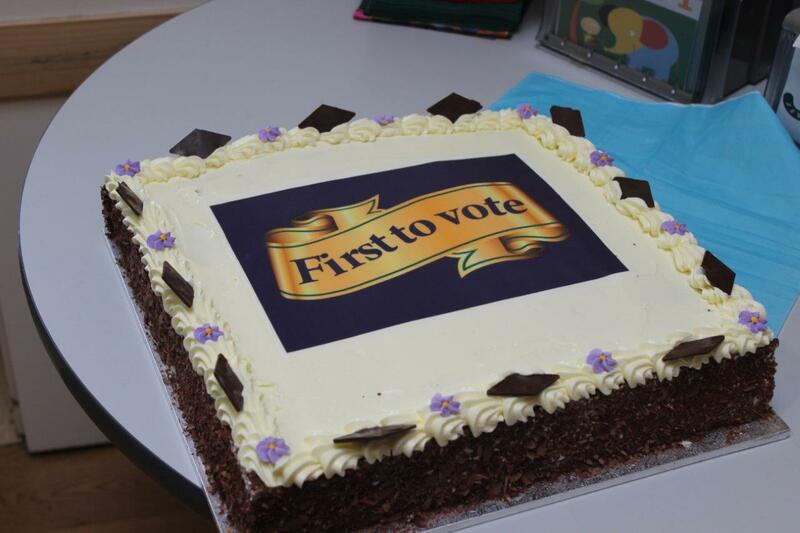 So after Peg voted, for the same party which has had her support across two centuries and two world wars, she cuts the cake to celebrate the value of our vote. Each of us have a valuable vote, so let’s join Peg, Kathleen, Aida and others in celebrating that – by using it this election. Let’s continue to shape our communities and our country. Tags: aged care, election, vote, voter | Permalink. Yesterday one of our NZNO organisers, Georgia Choveaux visited an inspirational 92 year old retired nurse about voting in her 25th general election. Cog, as she prefers to be known, is as committed to voting now as she was in her very first election in 1943. She trained to become a nurse during the second world war because she wanted to do her bit and had always liked helping people. 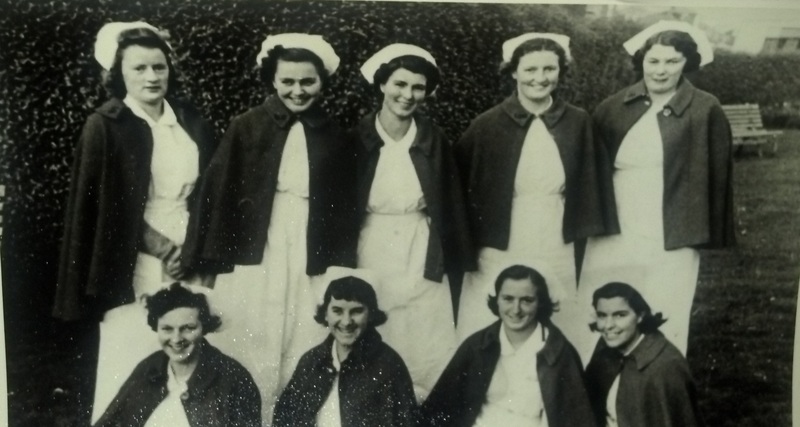 She still remembers her salary – 3 pound five and six a month and she says with pride, “Nurses were worth every one of those pennies!”. At 92 Cog is still voting because she wants to see changes in the system – and to retain her right to complain. She is very certain you can’t complain if you don’t vote. She explains it is a lot easier for young ones these days to know which way to vote for what is important to them. Back when she became a voter there was no television so you had to really try hard to keep up. Cog has kept up with what is going on in the lead up to the 2014 General Election and has worked out who has earned her votes this election. She has changed who she votes for over the years – and given others a try – some times for better or worse in her opinion. Yet, she would never consider not voting. It is too important for her as someone who has always liked helping people. So, hats off to the many generations of nurses, carers, patient advocates, health champions, kaimahi hauora and professionals for looking after the health of Aotearoa by being voters. Where would we be without you? Tags: election, fair pay, vote, voter | Permalink. NZNO members from the DHB, primary health and aged care sectors took time out from their leadership training yesterday to talk about why they are voters this election. Tags: advocacy, collective action, election, get out and vote, government, health politics, vote, voter | Permalink.